As 2014 comes to a close, it is time to reflect on all of the success we enjoyed over the past year at The TIGERS® Success Series. Our membership has grown; our team building blog is getting picked up, referenced and pinged; and the 6 Principles That Build High Performance Teams Leadership Clinic was both an intimate learning experience for leaders and a rousing success. We are looking forward to presenting the clinic again in Baltimore, MD in May 2015. 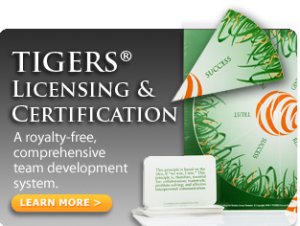 On top of that, our webinar for HR.Com attracted more than 60 participants, and 50 percent of those participants joined us for a live chat afterward, resulting in another stellar TIGERS licensee with a veteran 25-year HR track record from the Virgin Islands. We also were recognized for the HR.Com leadership excellent award. This past year’s team building blog was full of tips and strategies to build better teams, become better leaders, hire the best candidates, improve workplace culture and attract and retain Millennials. In an ever-changing business environment, it is important to stay current with technology, hiring and leadership trends to remain competitive in today’s working environment. The TIGERS® Success Series team building blog offered articles on many different trends to help you stay up-to-date on the current environment. If you have missed any of our articles over the past year, we have made it easy to catch up with our four-part recap series. For this first week, we have gathered all of the articles in our Polls, Research, and Surveys category. This category focuses on 2014 surveys, polls and other research that applies to workplace culture, team building and productivity in the current economic environment. Successful organizations understand that change is inevitable, and they understand how to successfully implement change to remain competitive. The below articles give you the research that supports our claims. So settle in, peruse and learn from the articles that pertain to your business. What Are Small Business Owners Doing to Find and Retain Excellent Employees in 2014? Are Companies Acting in Line with Their Values? Do Team Building Activities Result In Stress And Derail Your Bend, OR Talent Retention? How Often Does Deploying Corporate Strategy Fail? 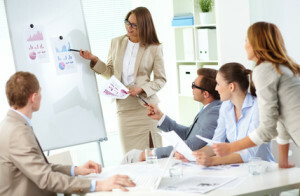 Why Does Team Strategy Execution Fail From The C-Suite Down? Is Sustainability A Team Building Activity Millennials Will Get Behind? TIGERS is a Bend, Oregon team building consultancy that licenses and trains HR Executives and Management Consultants to use powerful team development tools that help to transform organizations into the type of workplaces employees enjoy returning to after a couple of days off. Join us in the 6 Principles that Build High Performance Teams leadership clinic to learn how to correctly develop new teams for complex organizational problem solving and change initiatives. Learn the steps required to transform low performing teams into excellent ones. Click here for the 2014 West Coast and 2015 East Coast clinic schedule.